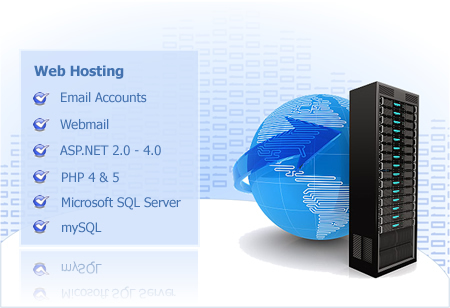 Whether you need basic hosting or a complete hosting solution - our service will meet your requirements. We can provide you with all the essential tools that you will need to get your business online and on the map. Our infustructure is secure stable and back by a dedicated team of specilaist. Our standard package have been designed to meet the common requirements of most business. Getting the right hosting solution is important and that is why we offer you the choice of either one of our standard hosting solutions or the ability to work with our team on a custom solution that meets your businesses needs. Contact us to find out more about what is available.